Get tips on creating these gorgeous pooja room ideas in small house. They are ideal for most Indian homes. These pooja room designs can easily fit into any apartment or an independent house. You can build a separate pooja room or choose an alternative idea instead. 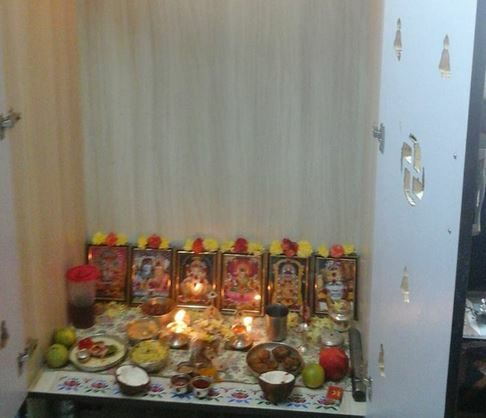 You can add a pooja mandir, pooja shelf or go for a simple cabinet to create your pooja own space. 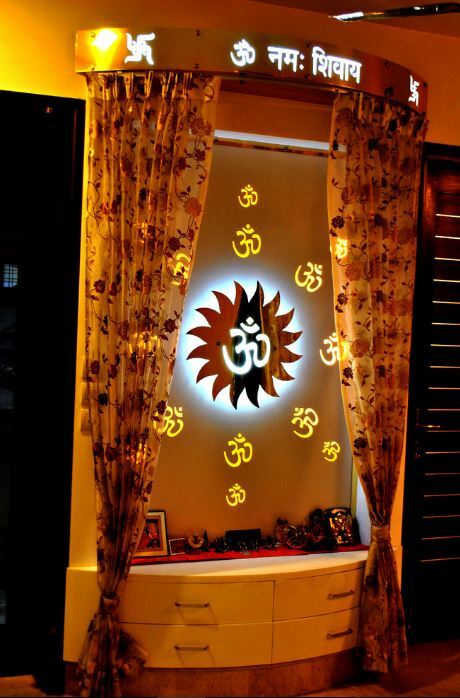 If you have a small space, then try this pooja room idea. Make an interesting arrangement on the floor of your living room, hall or bedroom. Go for a pooja mandir, this will save space and still look great. You can place the cabinet anywhere in the house. There are many kinds of pooja mandir available, buy one that suits your pocket. 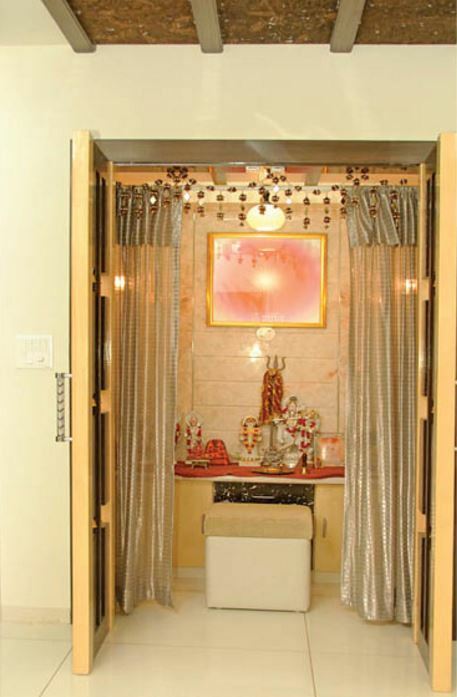 This is a very small pooja room which is just perfect for flats and apartments. Add a small pooja mandir or shelves in there to keep the idol of god and goddesses. 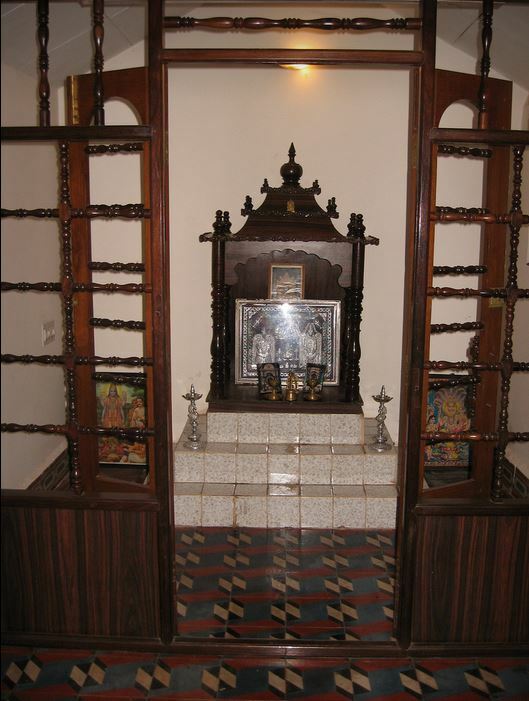 Here is a nice pooja room with a wooden pooja mandir inside it. 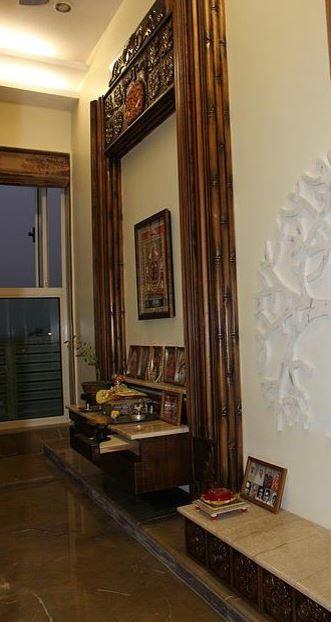 Use wooden partition to separate pooja room from the rest of the house. 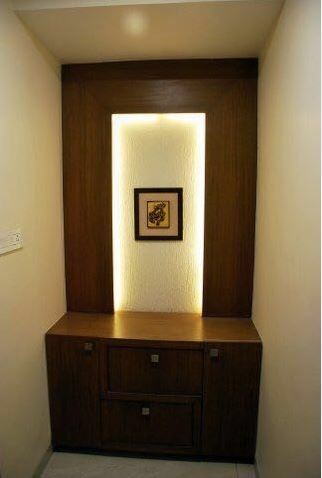 Construct a couple of stairs along the existing wall and make a glass enclosure around it to serve as your pooja room. Add a tile wall in the background that features the photo of your favorite deity on it. 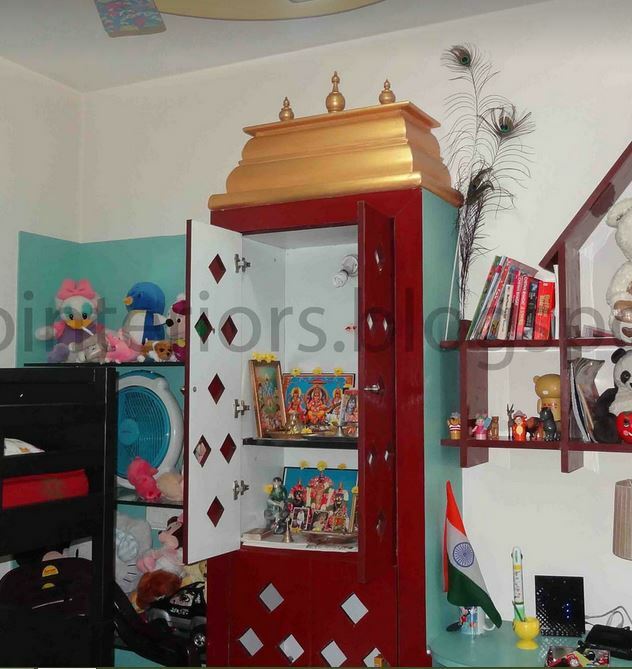 Convert your cupboard into pooja room. 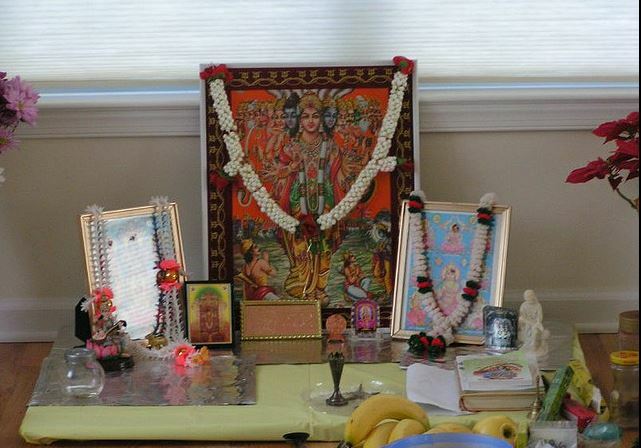 This set-up is extremely convenient as your pooja room is safe behind the doors. You don’t need to worry about children poking around. This is an ideal pooja room design for your living room or hall. The wood paneling and the LED lights give an amazing, smart look to it. Take cue from these pooja room ideas in small house and design one for your home. I love this beautiful pooja room with awesome lighting that looks absolutely magical. 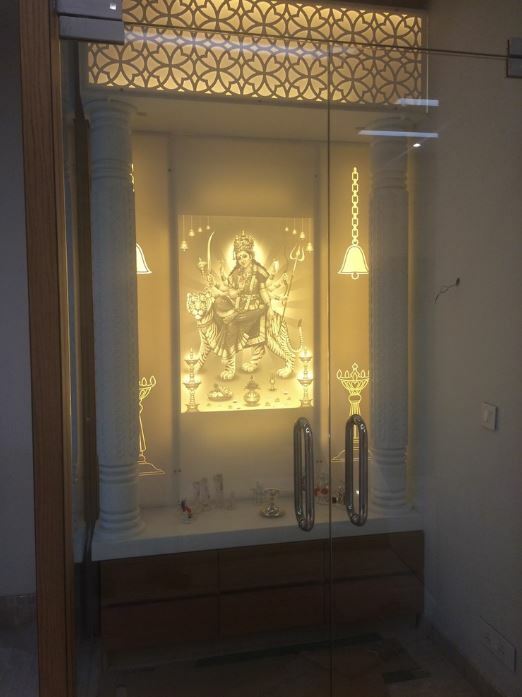 The mandir is made using white corian and the enclosure with glass. 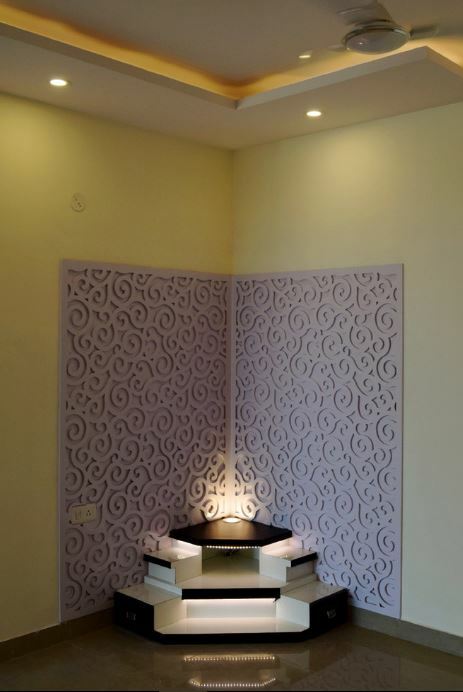 This is a very modern pooja room made along the wall. This is a perfect design which doesn’t require any extra space. It has shelves to keep the deity and drawers for storage. 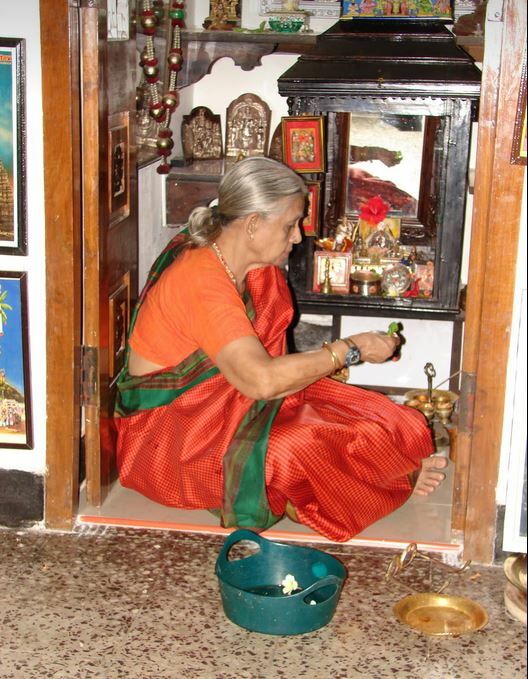 You can also design a simple, traditional pooja room in your house. Keep a stool for seating purpose and add lots of drawers underneath the counter for storing pooja essentials. Check out this pooja room with the prettiest entrance on this list. 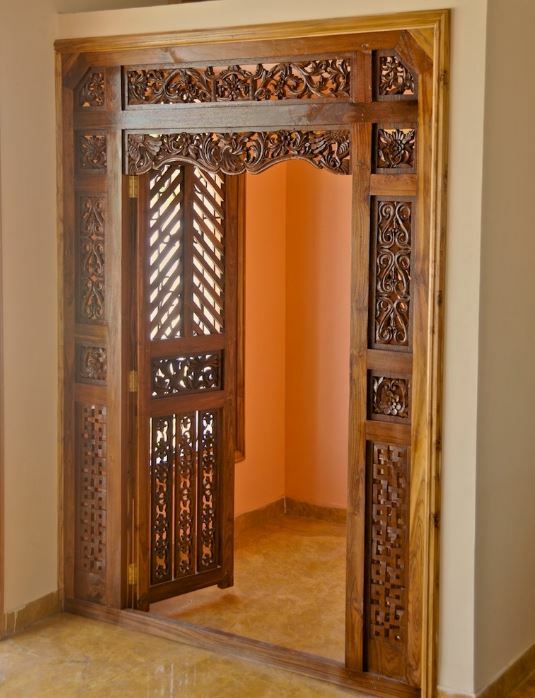 It is made up of intricately carved wooden doors and panels. Make pillar like structure that resembles a temple. 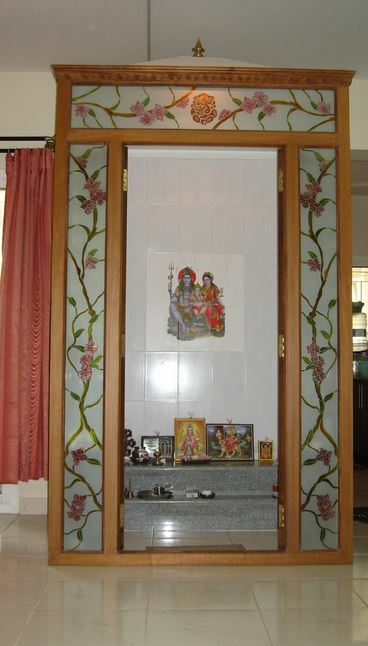 Do add lots of drawers for storage and use glass to build a small cabin like structure for your pooja room. Use one corner of your house to build this amazing pooja room. This idea will work for most Indian homes irrespective of their size. You can use these pooja room ideas in small house and save lots of space. 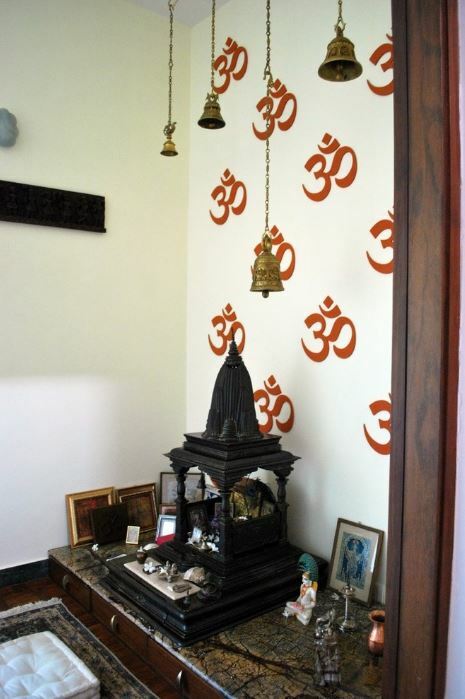 I love the bells hanging from the ceiling and the symbol of ‘Om’ painted on the wall. This is a gorgeous pooja room; I like the way it’s lighted up. Add curtains on the front side to keep it covered during afternoon and night. 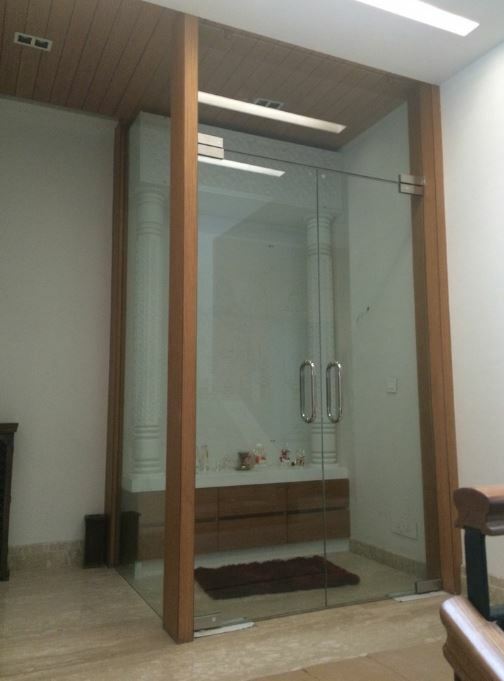 This entry was posted in Pooja Room, Pooja Room Designs and tagged Design of Pooja Room within a House, Mandir Designs for Small Room, Modern Pooja Room Designs, Pooja Room, Pooja Room Design, Pooja Room Designs, Pooja Room Designs for Small Homes, Pooja Room Designs for Small Space, Pooja Room Designs in Glass, Pooja Room Designs in Wood, Pooja Room Ideas, Pooja Room Ideas in Small House, Simple Pooja Room Designs, Small Pooja Room, Small Pooja Room Designs, Small Pooja Room Ideas by Homemakeover. Bookmark the permalink.